If visions of rum, salsa, cigars, and classic cars pop into your mind at the mention of Cuba, you must travel to this idyllic island destination to experience the real depth and beauty of the country. There are the familiar amazing cities you’ve heard about, like Havana with its 5-star hotels and international cuisine, and Santiago with its musicians, poets, and heroes. But it is the country’s commitment to biodiversity that makes Cuba truly magical. The majority of the land outside the towns and cities is undeveloped and protected in national parks. From the Cuchillas de Toa rainforest near Baracoa to the cays of Caguanes National Park, the wilderness is vast and offers sustainable travel opportunities for many. Please be aware of travel restrictions to Cuba for U.S. citizens. Named a UNESCO Biosphere Reserve, Caguanes National Park is the ideal destination for eco and adventure tourism. The park includes Caguanes Cay, Ciénaga swamp, Guayaberas, and Piedra Cays. The park is best accessed from Yaguajay in Sancti Spiritus Province on the central Atlantic coast. There are so many ways to experience the park, but one of the most popular is hiring a guide to explore the 79 coastal caves, some of which go deep underground. 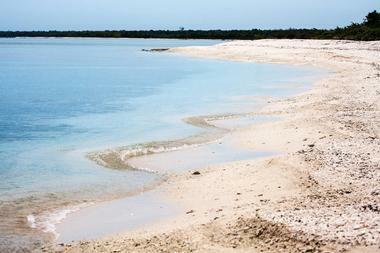 Santa María Cay offers the clearest turquoise waters for snorkeling and swimming. The manglares, or mangroves, is home to numerous marine and land fauna, and the Ciénaga de la Guayabera swamp and mangroves support abundant flora and wildlife. 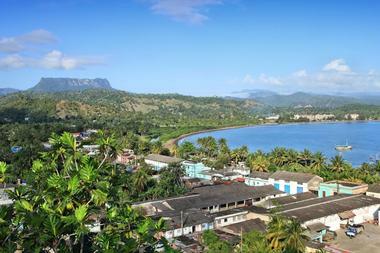 Travelers to Cuba looking for a more tranquil experience will find it in Baracoa, a geographically remote location on the northeastern coast of the island. This historical colonial village with its cobblestone streets is nestled between unspoiled rainforest and quiet beaches. Visitors will find a beachside promenade (malecón) that runs parallel to the ocean and a quaint village scene of colorful one-story dwellings. Adventure seekers can hire a guide to explore the Cuchillas de Toa rainforest, which surrounds the village. After a day on the beach or trekking in the wild, visitors will want to enjoy a Baracoan meal of buttery lobster, plantain-stuffed fish, or garlic-rubbed shrimp. Baracoa’s local white chocolate and cucurucho are sweets not to be missed. 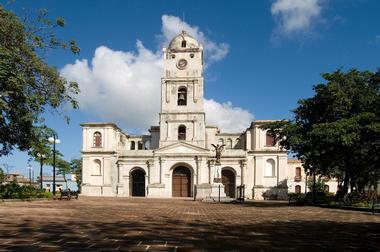 Bayamo, capital of Granma Province, is the second oldest colonial city on the island. 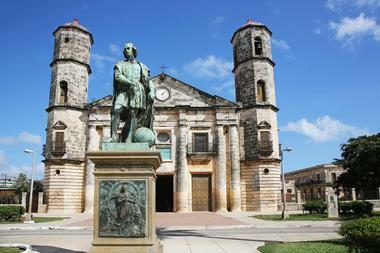 As the headquarters of the war for independence from Spain, it is revered as the birthplace of Cuban nationality. 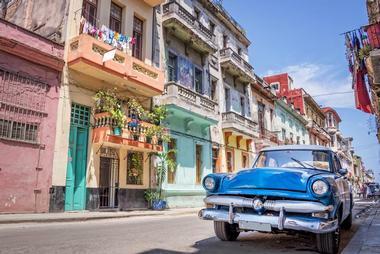 Each October, the city hosts La Fiesta de la Cubanía, celebrating Cuban culture and tradition. Visitors can indulge in about two dozen guided tours in and around Bayamo, including city tours by horse-drawn carriage or by foot, Turquino National Park, Desembarco de Granma National Park, Rio Macío ecotour, Sierra Maestra jeep safari tours, seafari tours, fishing, snorkeling, trekking, diving, and more. Visitors to Bayamo in January can observe the Heroic Burning of Bayamo celebration. The Bayamo Gourmet International Event is a popular culinary festival. 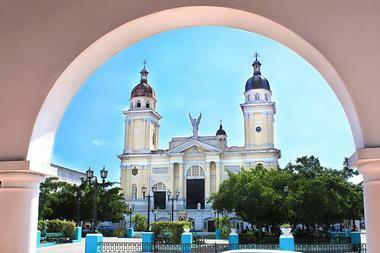 Camagüey is a mecca of interesting tourism attractions that run the gamut from nature to culture to beaches. Once called Santa Maria del Puerto del Principe, the historic center of Camagüey bursts with plazas and squares, elegant historical buildings, impressive bell towers, and a labyrinth of streets and alleys. Along with a handful of museums there is a plethora of art galleries. Outside the city, the province teems with outdoor recreational opportunities. There are 120 km of beaches, the largest pink flamingo reserve in the west, numerous shipwreck dive sites, and the Jardines de la Reina keys and coral reefs for snorkeling. Cardenas is a harbor town that is still much like it was in the past, with horse-drawn carriages and bicycles dominating the narrow streets. This popular foreign expat city is not far from Varadero, where many of the people from Cardenas work in the tourism industry. Buildings come in several architectural styles, and there are a few 19th-century military fortresses. 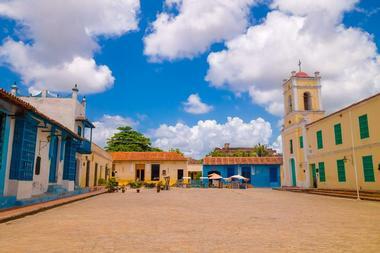 Some popular points of interest include Parque Colon, where the first Cuban flag flew, Plaza Molocoff with its daily vegetable market, the renowned Arrechabala rum factory, and two museums – Museo de Oscar de Maria Rojas and the home of assassinated Cuban student leader Jose Antonio Echevarria. 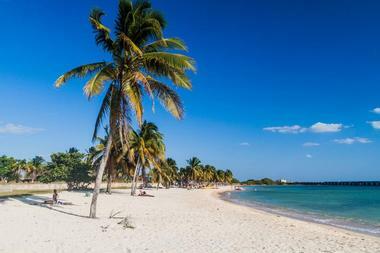 Cayo Coco, named after the white ibis, is part of the Jardines del Rey archipelago and is connected to Cuba’s Atlantic coast by a 17-mile causeway. It is primarily known for its white sand beaches, crystalline waters, and off-the-beaten-path ambiance. The islands are uninhabited except for hotels and other tourism facilities. The majority of the island’s interior is vegetation, and is home to over 200 bird species, including a flamingo colony. Activities at this ultimate beach destination include all types of watersports, fishing, diving, swimming with the dolphins, and kitesurfing. Visitors willing to venture away from all-inclusive resorts can experience modestly priced lobster feasts at local beach ranchons (bar and grill). Cayo Guillermo is part of the Jardines del Rey archipelago, and is connected by the short Puente Hemmingway bridge to its sister island Cayo Coco, which is in turn connected to the Atlantic side of Cuba by a 17-mile causeway. Like Cayo Coco and other cays in the archipelago, it is uninhabited, with the exception of a developing commercial tourism infrastructure. Similar to Cayo Coco, the most popular Cayo Guillermo activities include watersports, diving, swimming, lounging on the beaches, cycling, and horseback riding. The same natural paradise that characterizes other cays in the archipelago can be found here too – palm-fringed beaches and crystal-clear water. Vacationers looking for a resort-style Caribbean getaway on an uninhabited island can head to Cayo Largo del Sur in the Canarreos Archipelago. 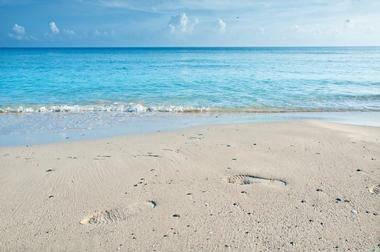 Miles of powdery white sand beaches and shimmering clear water are the big draw here. 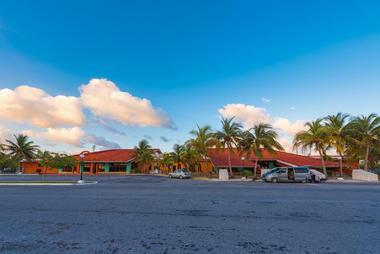 Those wanting to venture out of the resorts can do it best by renting a scooter or a Jeep. There’s one main road on this 17-mile-long, 2-mile-wide island; the few side roads are mainly sand. El Pueblito is the only village on the island; travelers can visit a turtle farm, dine in local restaurants, and visit a dive center there. Resorts offer an array of watersports. It is illegal to remove the starfish from Playa Sirena as well any coral or other marine life, whether living or dead. 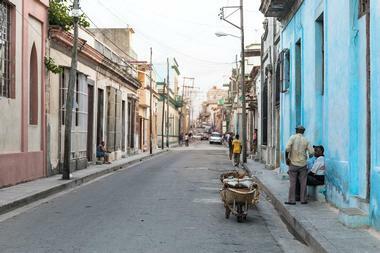 Santa Clara, the capital of Villa Clara province in central Cuba, has been dubbed Cuba’s most revolutionary city. Che Guevara, the revolutionary leader who liberated the city from the Batista regime in 1958, is interned with fellow fighters at Che Guevara Mausoleum on the city’s west side. A bronze statue of Guevara adorns the site, and next door is Museo Histórico de la Revolución, which has a collection of artifacts commemorating his life. Vidal Park is the central square of the city, where visitors will find both free Wi-Fi and excellent people watching. This college town’s youthful, edgy ambiance includes boundary-pushing rock festivals, satirical political art, and Centro Cultural El Mejunje, which transforms into the country’s only gay club on weekends. 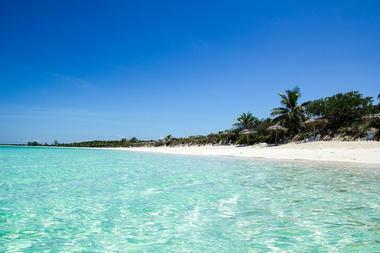 Cayo Santa Maria is a quaint key off the northern coast of Cuba’s main island, located in the Bahia de Buena Vista. This key, along with its two neighbors Cayo Ensenachos and Cayo Las Brujas, form the tranquil resort destination of Los Cayos de Villa Clara and are accessed via a causeway from Caibarien. Its biggest draws are its pristine sugar-white sand beaches and majestic crystal-clear waters in the northern section, where many of the resorts are located. The southern coast is monopolized by salt marshes, forests, and mangroves. Fishing, scuba diving, and snorkeling are popular activities, and sights such as the Dolphinarium and the Wildlife Refuge shouldn’t be missed. 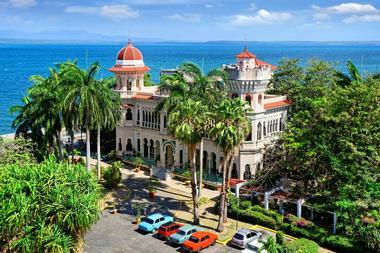 Cienfuegos is situated in the central-southern region of Cuba. 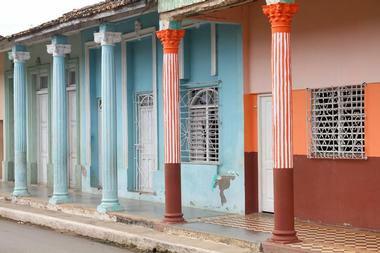 The Historic Centre, a UNESCO World Heritage Site, reflects the area’s proud and charming Cubans. The city is a cultural oasis with a French-style atmosphere, home to many great authors and musicians such as Benny More, a singer, songwriter, and director whose grave has been a National Monument since 2009. It is also a naturalist’s dream locale with environmental and ecological treasures such as the Macizo de Guamuhaya, El Nicho, Jagua Bay, Yaguanabo Valley, and the botanical gardens, which are a national monument. Other activities include city tours, the Dolphinarium, the Cuban Cigar Factory, and a Guanaroca Lagoon. 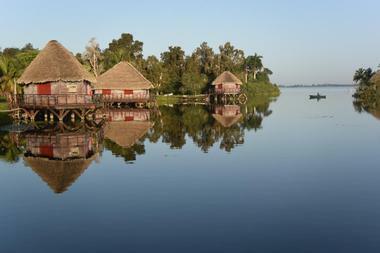 Guama is a truly unique destination where charming thatched roof huts sit on the edge of several mini islands in Laguna del Tesero (Treasure Lake). The Villa Guama resort was built to resemble a Taino village, boasting a lush and green atmosphere with several palm trees and impeccably maintained grounds. From the outside the area looks very rustic, but the huts’ interiors are beautifully designed, complete with air conditioning. The area can only be accessed via boat, and doesn’t have an extensive list of attractions. The main attraction of Guama is the crocodile farm, where more than 100,000 aquatic reptiles, including sixteen endangered species, reside. The Guanahacabibes Peninsula National Park stretches across an expansive Y-shaped peninsula on the westernmost point of Cuba. It resides within the Guanahacabibes Peninsula Biosphere Reserve, created by UNESCO in the late 1980s. The more than 31,000 acres of peninsula land are protected woodlands, mangroves, and wildlife. 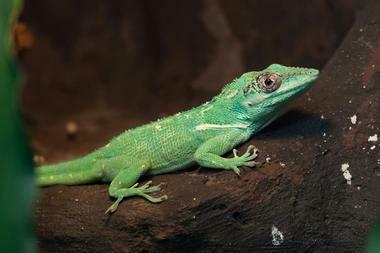 Among the fauna are over 170 bird species as well as wild pigs, deer, land crabs, and iguanas. The national park is best known for Maria la Gorda, a pristine white sand beach that offers some of the best scuba diving in the world, with coral reefs, caves, and Spanish shipwrecks. A visit to the lighthouse, beach, and cave system found at Cabo San Antonio is highly recommended. Holguin, known as the birthplace of Cuban music, is on the east end of the island, a relatively unspoiled area that boasts lush greenery, pristine, white powdery beaches, and various attractions. Visitors who love to explore can climb to the top of Loma de la Cruz, a steep trek of over 450 steps that features incredible views of the entire city. Guardalavaca is one of the best area beaches and has a craft market filled with stalls selling everything from rum bottle clocks to colorful sundresses. El Chorro de Maita, a cemetery with an adjacent cultural museum, is an excellent place to learn of Holguin’s history. Jibacoa is often thought of as Cuba’s best-kept secret due to its beautiful, tranquil, and unspoiled environment as well as its strategic location, which is roughly halfway between Havana and the iconic Varadero resort. It features gorgeous beaches with rolling hills, picturesque towns and villages, nature parks, and scenic countryside. Jibacoa proper has a wide range of attractions and activities, and is the gateway to discovering several other nearby Cuban regions. 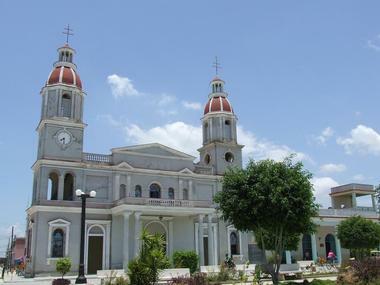 Hershey town, with its gardens and train that connects it with Matanzas and Havana, is a huge draw for visitors, as are Santa Cruz de Norte, Mirador Los Cocos, and Canasi Village. 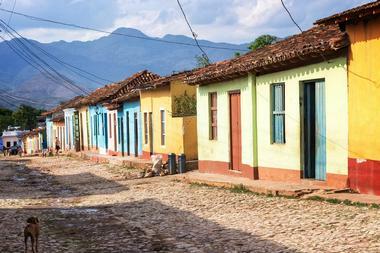 Manzanillo is situated in the majestic Sierra Maestra Mountains in the southern region of Cuba. It’s where the modern revolution in Cuba was established and where Fidel Castro and his rebels landed in 1956 after leaving exile in Mexico. 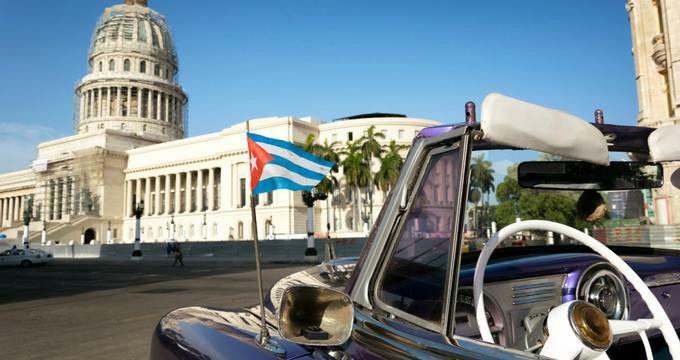 Today, it retains its revolutionary spirit and contains a wealth of historical monuments, museums, and squares showcasing the fight for Cuban independence. The Museo Historico la Demajagua exhibits the history of the Cuban independence movement from 1868 to the present day. Manzanillo isn’t just a historian’s dream locale, it also features stunning beaches and a wealth of attractions, such as the Criadero de Cocodrilos, one of Cuba’s crocodile farms. 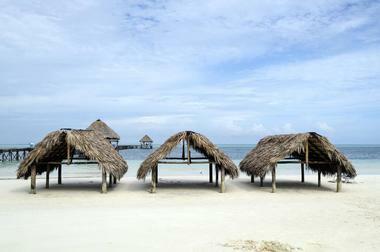 Matanzas is situated on Cuba’s northern shore in the Bay of Matanzas. Sometimes referred to as the “City of Bridges” and sometimes called the “Athens of Cuba”, Matanzas holds a special place in Cuba. The best way to get there and experience Cuba’s natural beauty is via the Hershey Train, which originates at Casablanca Station in Havana and has its terminus in Matanzas. Visitors will want to see the five bridges of the City of Bridges, but particularly the Bacunayagua Bridge. Historical highlights of the city include the famous Casino Prince Alfonso, the Pharmaceutical Museum, and San Carlos Borromeo Cathedral. 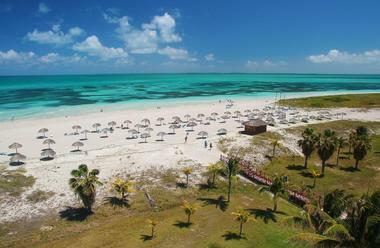 Outdoor types will appreciate beautiful Cayo Blanco beach and Bellamar Caves. 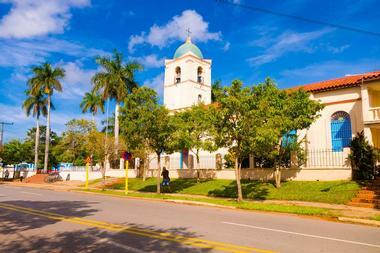 Morón is often referred to by Cubans as Cuidad del Gallo (City of the Cockerel). It got its nickname from a “cocky” colonial official in Morón, and the label stuck. Visitors can get an understanding of Morón at Museo Caonabo, the city’s museum of archaeology and history, plus an excellent view of the city from its rooftop. Terminal de Ferrocarriles is Morón’s elegant 1923 railway station that is also worth a visit. Don Papa is the best place in town for 100% Cuban food, and Casa de la Trova Pablo Bernal is the best music house. On Wednesday nights, visitors can catch a comedy show there. Playa Girón is a popular beachside community on Cuba’s Bahía de Cochinos (Bay of Pigs) in Matanzas Province. Visitors won’t want to miss Museo de Playa Girón, dedicated to the 1961 failed U.S. invasion, which is depicted in photos, maps, murals, artifacts, and video. Ecotours to nearby Zapata Swamp, Cuba’s largest wetland and the Caribbean’s largest protected area, are popular. Playa Girón is best known for its diving and snorkeling opportunities, including shore diving. The caves of Punta Perdiz 2 are great for novice divers, but the Jaruco shipwreck dive is better suited to experienced deep divers. 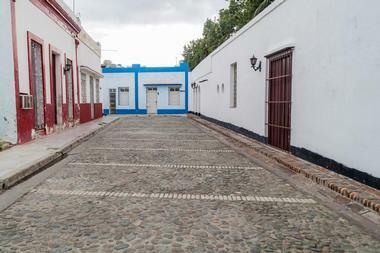 Private homestays also make Playa Girón a unique travel destination. Santiago de Cuba has the distinction of being both the most mountainous province of Cuba and the most Caribbean city in the country. It was declared The Heroic City because of its long struggles, from slave rebellions to the wars of independence from Spain to the resistance to dictator Batista. The city’s rich history can be examined at Museo de la Lucha Clandestina, among others. Santiago de Cuba is an important cultural and artistic center and home to Fiesta del Fuego each July. Visitors who can’t make the festival can explore the spirit of it at Museo del Carnaval. Several guided city tours include highlights like Morro Castle, Basilica of Our Lady of Charity of Copper, Ron Caney’s Bar, and Céspedes Park. Tropes de Collantes National Park can be accessed from nearby Trinidad or from one of the hotels in the Topes de Collantes Touristic Complex. Hotel Villa Caburni is popular with families. There are six parks within Topes de Collantes: Altiplano Topes de Collantes, El Cubano, Guanayara, Codina, El Nicho, and Cayo Las Iguanas. Taking the Salto del Caburni Trail following the falls (that look more like a waterslide) to the pool below is a popular excursion. 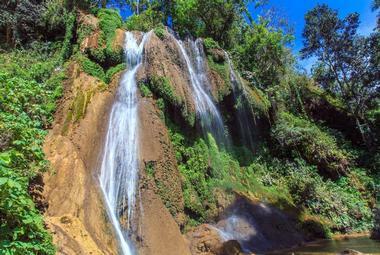 The picturesque El Nicho Waterfall and caves of El Nicho Mountains are an entirely different experience. Medicinal mud baths, orchid gardens, bamboo groves, and cave swims characterize Codina Park. Guanayara has easy to mid-level scenic hiking trails. Often called “The City Suspended in Time”, Trinidad is characterized by its well-preserved colonial architecture featuring Plaza Mayor de la Santisima Trinidad, the most photographed area of town. Around the plaza, visitors can explore Iglesia Parroquial de la Santísima Trinidad, Museo de Arquitectura Trinitaria, Galería de Arte, and Museo de Arqueología. Other points of interest in the city are Cantero Palace and lookout tower, the Municipal Museum of History, Palace of Count Brunet, and the House of Music. Outside the city, highlights include the Maravillas Trail, Los Cayos de Piedra, and Caguanes National Park. 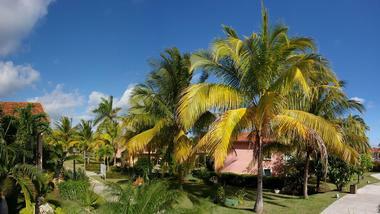 Travelers will also love the beautiful beaches, numerous dive spots, and seafaris to nearby keys. Varadero is the biggest and most popular of Cuba’s beach resorts, and is also considered one of the world’s most beautiful. 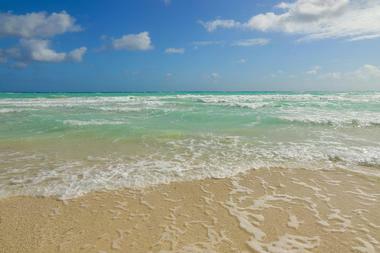 The turquoise waters are calm and the beaches are powdery white sand. The seaside city offers a number of museums, cabarets, galleries, markets, and rum and cigar shops. There is an exciting live music scene and a number of bars and quaint cafés. The Varahicacos Ecological Reserve is nearby and offers several hiking trails, plus a chance to explore flora and fauna, caves, and primitive wall paintings. Golfers can enjoy one of the country’s two courses here, and there are dozens of water sports activities and excursions available. Off-the-beaten-path travelers will find an authentic Cuban countryside experience in Viñales. The Valley of Viñales is a national park and a UNESCO Cultural Heritage Site, where visitors will get the most from their time by staying in a Casa Particular (local’s private home), and by taking one of several specialized local tours, where visitors can talk directly with locals about what they do. On the Secrets of the Tobacco Tour, guests will visit the tobacco farm of Luis Prieto, the youngest cigar man in the country, a despalillo where tobacco leaves are processed, and a cigar factory where they’re made by hand. Other tours include organic farms and various plantations, the Valley of Silence, and Lookout of the Aquatic.